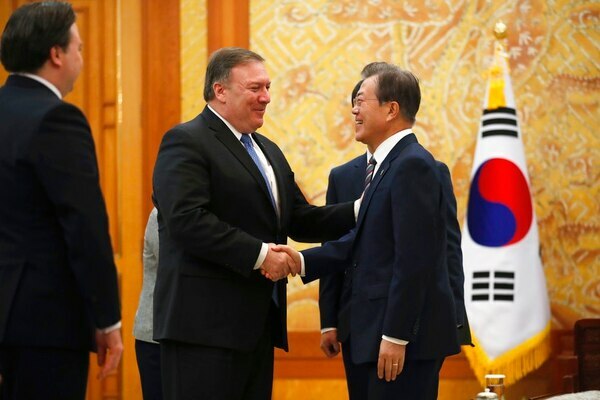 The United States will not ease sanctions against North Korea until it denuclearizes, Secretary of State Mike Pompeo said Thursday, as he reassured key Asian allies that President Donald Trump had not backed down on Pyongyang’s weapons program. Trump claim raises eyebrows: North Korea no longer a nuke threat? 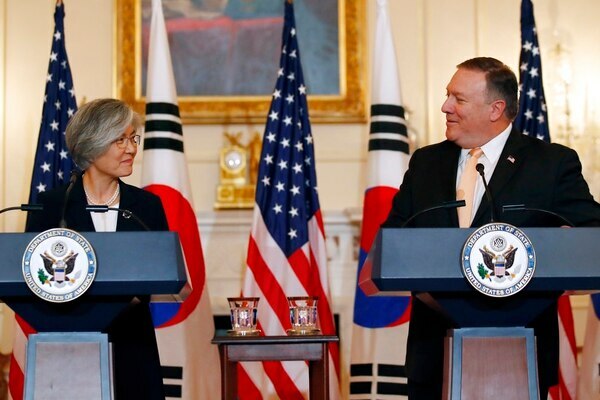 President Donald Trump stretched credulity at home and abroad Wednesday by declaring there is “no longer a Nuclear Threat from North Korea” after his summit with Kim Jong Un that reduced tensions but produced no details on how or when Pyongyang might disarm. 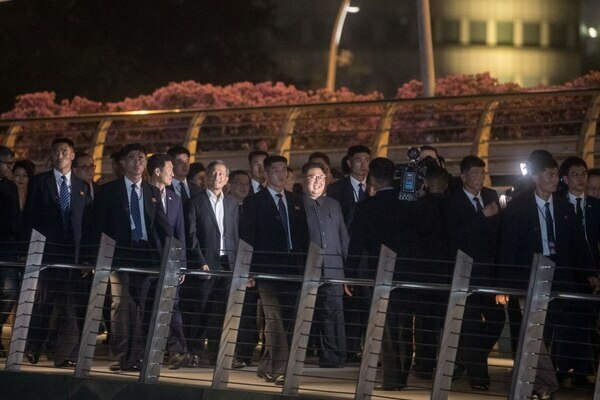 They came with scores of aides, bodyguards and diplomats in tow: Donald Trump from Washington, Kim Jong Un from Pyongyang. 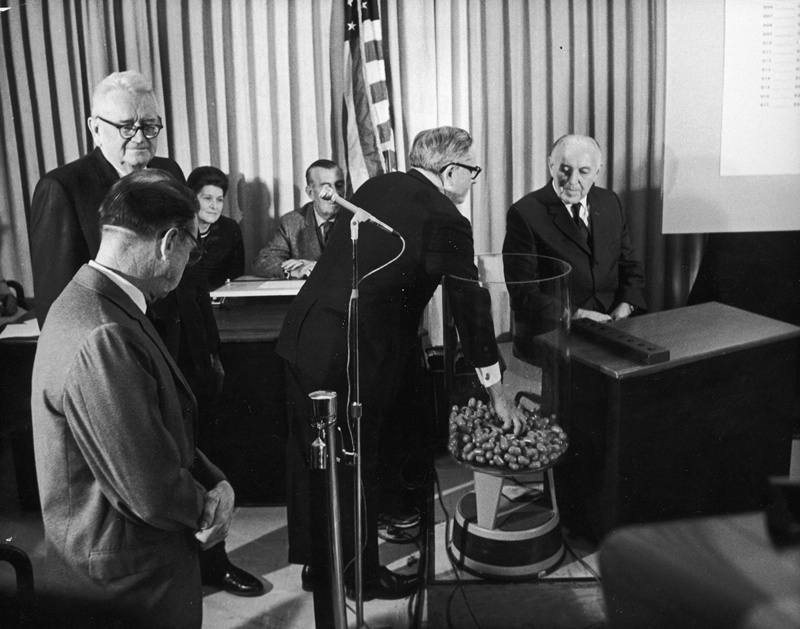 But for the better part of an hour, the two men will square off one on one, alone but for a pair of translators, raising concerns about the risk of holding such a monumental meeting with barely anyone to bear witness. 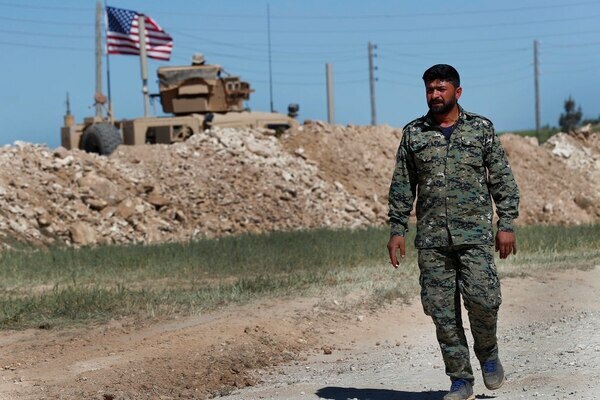 An American-backed Syrian Kurdish militia said Tuesday it will leave the strategic town of Manbij under a delicate U.S.-Turkey deal that could ease tensions between the NATO allies and force a realignment of troops along the volatile Syria-Turkey frontier. 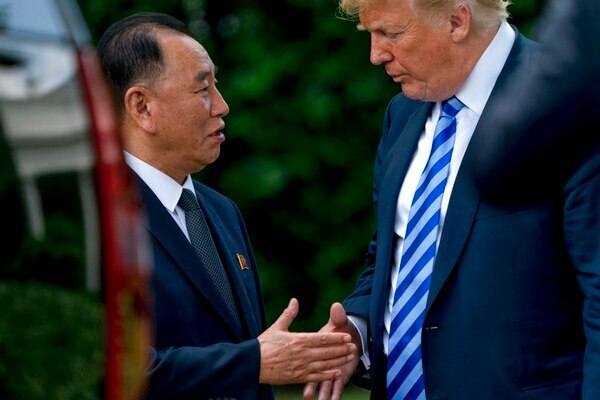 After a week of hard-nosed negotiation, diplomatic gamesmanship and no shortage of theatrics, President Donald Trump has announced that the historic nuclear-weapons summit he had canceled with North Korea’s Kim Jong Un is back on. 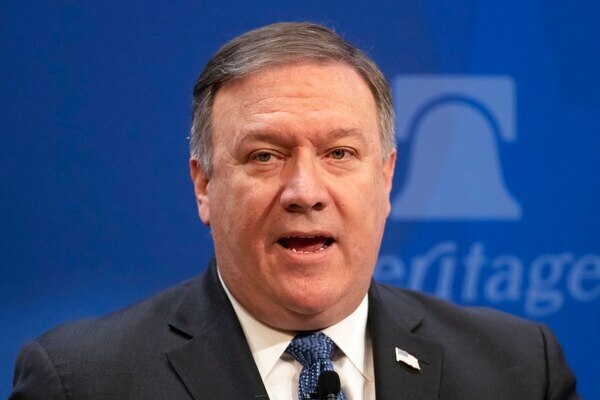 The Trump administration on Monday demanded that Iran make wholesale changes in its military and regional policies or face “the strongest sanctions in history,” as it sought to turn up heat on Tehran after President Donald Trump’s decision to withdraw from a landmark nuclear deal. 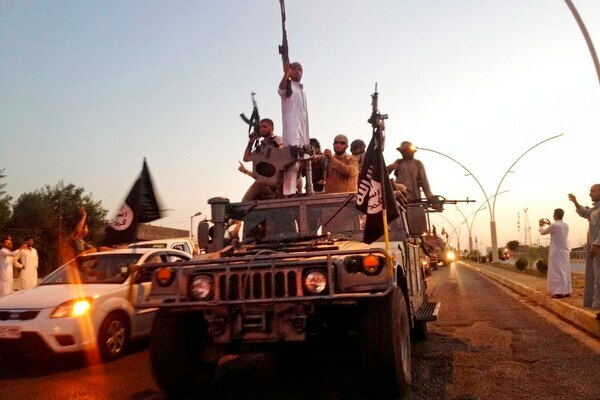 The State Department unit overseeing the fight against the Islamic State group will stay in business for at least six more months, reversing an administration plan for the unit’s imminent downgrade even as President Donald Trump presses ahead with a speedy U.S. exit from Syria. 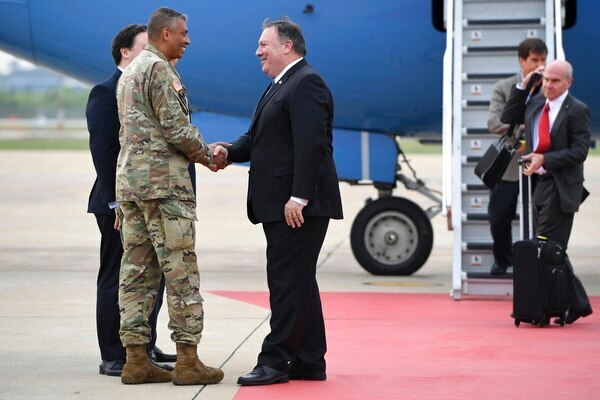 The United States aspires to have North Korea as a “close partner” and not an enemy, Secretary of State Mike Pompeo said, noting that the U.S. has often in history become good friends with former adversaries. 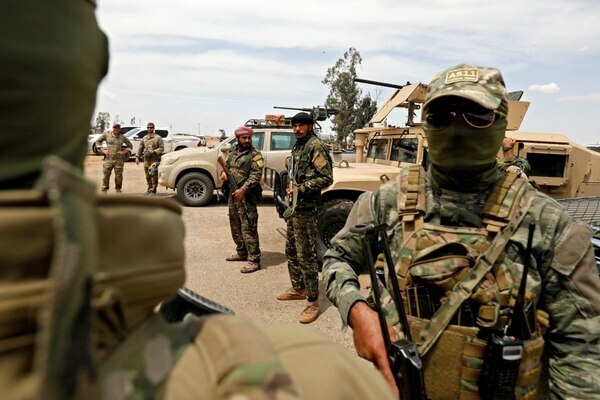 Iraqi forces in coordination with U.S.-backed Syrian forces have captured five senior Islamic State group leaders, the U.S.-led coalition said Thursday in a statement. 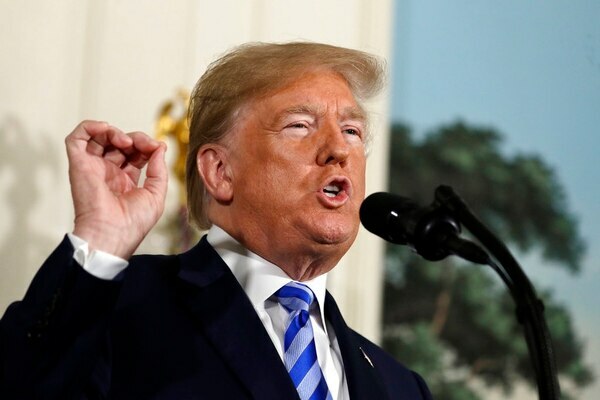 President Donald Trump announced Tuesday the U.S. will pull out of the landmark nuclear accord with Iran, dealing a profound blow to U.S. allies and potentially deepening the president’s isolation on the world stage.